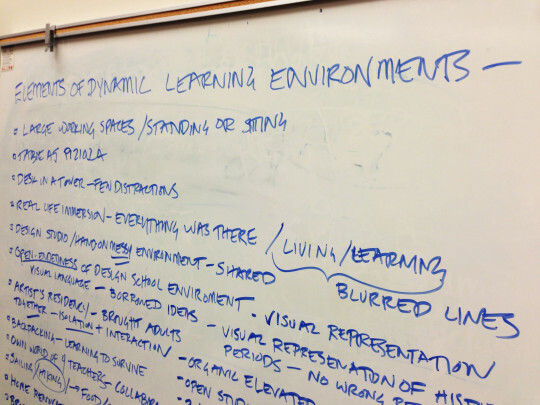 What can K-12 schools do to establish design thinking and maker spaces on their campuses? In this blog post, AbD team member Wendy Donner discusses the ways in which two schools in Oakland are tackling this question. What kind of spaces might schools create to encourage design thinking and maker experiences for students? Schools and organizations across the globe are prototyping solutions to this question. Some construct state-of-the-art innovation labs, like the iLab at The Nueva School, prototyped at the Hasso Plattner School of Design at Stanford University (the d.school) and equipped with a laser cutter and a sophisticated fabrication shop; others dedicate a corner of a classroom as a fix-it space, like first grade teacher Belinda Gray at the San Francisco Day School. 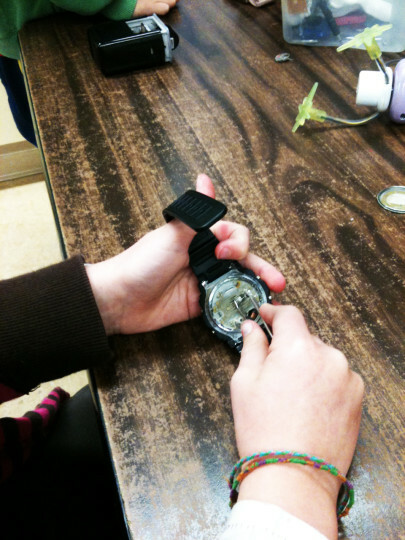 Another prototype brings making to you! 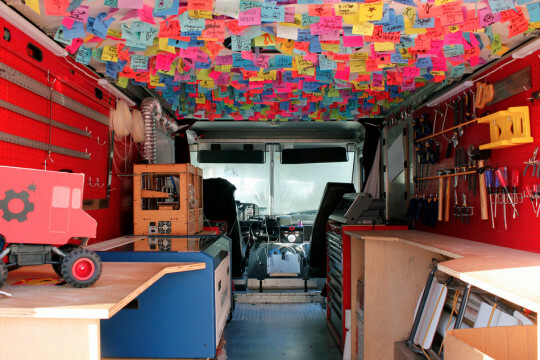 Spark Truck, a maker space on wheels created by Stanford d.school students, pulls up and unfurls to reveal an impressive collection of tools, materials, and facilitators. Spark Truck’s summer 2012 launch tour provided hands-on design thinking experiences to 27,000 students in parking lots across 33 states—and now the project is the focus of a graduate level d.school course that will yield yearly iterations of the same truck, redesigned anew and ready to hit the road each summer. 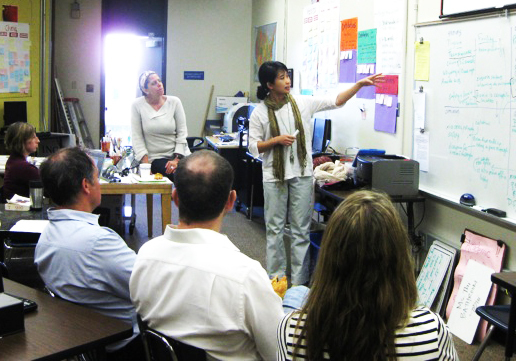 Temescal Learning Community schools are curious about how their own spaces might encourage design thinking and maker experiences. On a recent visit to the Bay Area, architect, educator, and Agency by Design consultant, David Stephen led teams from Oakland International High School and Park Day School in a maker space exploration. The teams arrived at a fundamental question: should a school-based maker space stand-alone or should the school shift multiple spaces to invite making experiences? Proponents of the stand-alone space model describe the opportunities for sophisticated tool use, the need for materials and project storage, and the role a dedicated space plays in encouraging design thinking/maker programing at a school. These spaces should be stocked with tools and materials; ideal for whole-group, small-group, and individual work; very well-organized but designed for messy exploration; designed for exhibition of project work; considerate of light and sound; exceptionally flexible with moveable, modular furniture; rich with white board surfaces for brainstorming; and inviting and comfortable. Sounds pretty ideal, doesn’t it? How might each of these maker space development approaches support a school’s intention to grow design thinking and maker programs? If resources are not an issue, is there a clear best choice? This blog was published on April 1, 2013. Guest author Wendy Donner is the Abundance Foundation Liaison and Oakland Leadership Team Member.